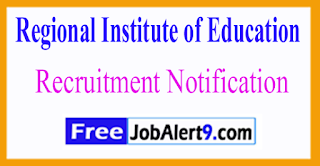 RIE Bhopal (Regional Institute of Education) Has Released Recruitment Notification For 80 Professor, Stenographer, Teacher Posts. All Eligible & Interested Candidates Can Attend Walkin Interview On 12-06-2017 to 29-06-2017 (12th June to 29th June 2017). 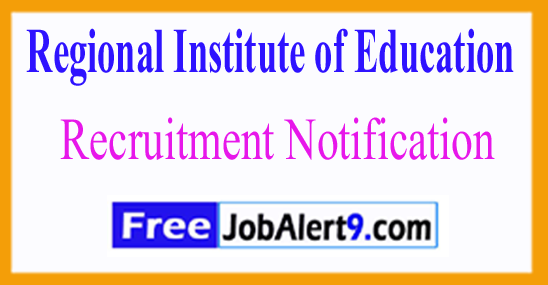 Further Detailed Information Regarding Educational Qualifications, Age Limit, Selection Procedure, Exam Pattern, Syllabus for RIE Bhopal (Regional Institute of Education) Recruitment 2017 - 80 Professor, Stenographer, Teacher Post is mentioned below. Candidates age should be between 18 to 27 Years (Post 12,14), 18 to 25 Years (Post 20) As on 01-07-2017.Candidates upper age limit should not Exceed 65 Years (Post 1,2), 40 Years (Post 3), 35 Years (Post 6,7), 30 Years (Post 8,9,15,13), 27 Years (Post 10,11) As on 01-06-2017. Candidates should have done 10th and 12th / Diploma or Engineering Degree or Graduation Degree or Post Graduation Degree / its equivalent qualification from A recognized university. Rs. 1,00,000/- (Post 1), Rs. 60,000/- (Post 2), Rs. 45,000/- (Post 3), Rs. 27,500/- (Post 4), Rs. 25,000/- (Post 5), Rs. 26,250/- (Post 6,7), Rs. 21,250/- (Post 8), Rs. 20,000/- (Post 9), Rs. 19,000/- (Post 10,11), Rs. 17,000/- (Post 12-14), Rs. 7,000/- (Post 15,20), Rs. 29,000/- (Post 16-19) . All Eligible & Interested candidates are required to attend walkin interview along with relevant testimonials to the following Address / (12th June to 29th June 2017). Principal’s Office, Regional Institute of Education, Shyamala Hills, Bhopal-462013 (M.P.) . Date for the Walk In Interview - 12-06-2017 to 29-06-2017. Click Here For RIE Bhopal Recruitment 2017, Advertisement.